One of a small group of cottages in the hamlet of Halgabron is Atlantic View. This smart prperty can sleep six people in three ground floor bedrooms. 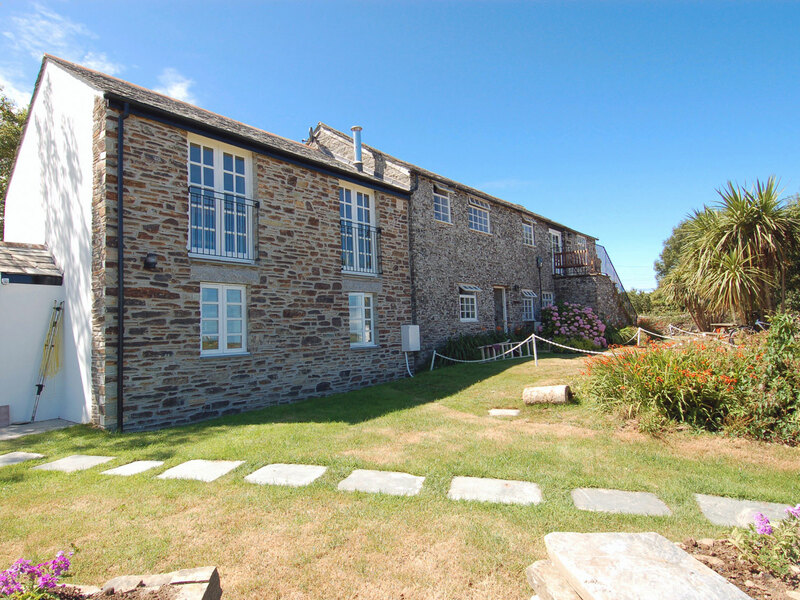 On the first floor the living space is open plan and has superb sea views and a woodburning stove. Outside is a small private garden with patio and sea views, as well as shared use of a large lawned play area with picnic tables and BBQ. Central heating with wood burning stove. Electric oven and hob, dishwasher, fridge, freezer, microwave, washing machine. TV/DVD, Wi-Fi. Fuel and power inc. in rent. Bed linen and towels included in rent. Off road parking for 1 car. Small garden and patio with furniture, shared play area with BBQ. Sorry no pets and no smoking. Shop/pub 2 miles. Beach 10 minutes walk away..